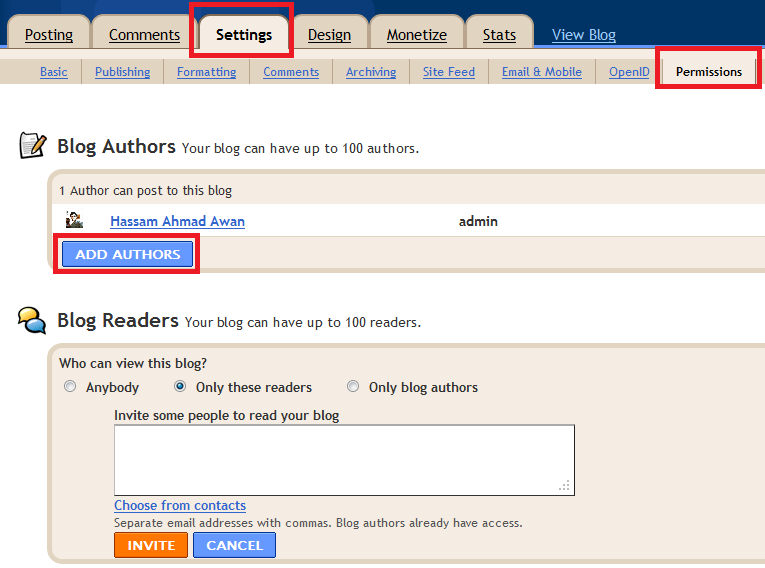 Go to Dashboard >>Settings >>Basic and click "Add authors". 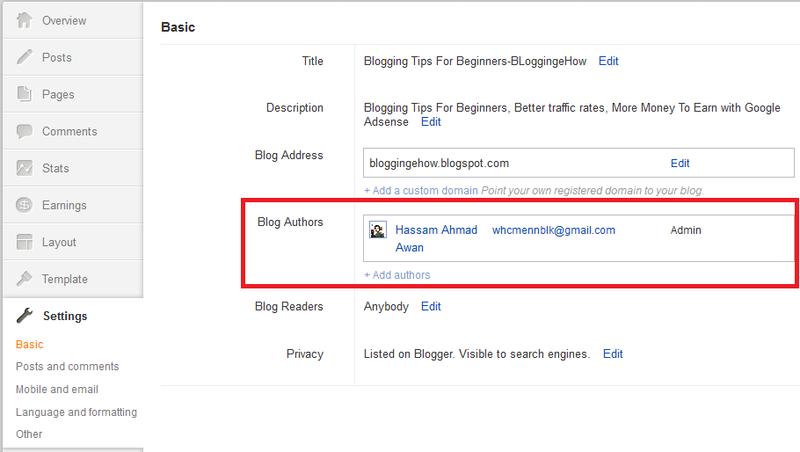 It will prompt you with the following field where you can enter the emails of the guest authors. 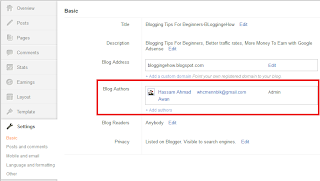 It will send invitation to them for guest blogging at your blog and once they accept it they will be added. And then click add authors and enter their emails and once they accept it you will be added to the list.